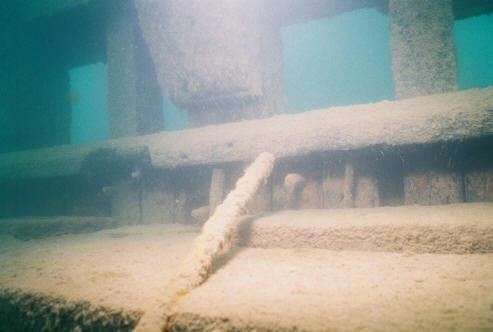 During the 2006 dive season we observed some of the rods were broken. It was necessary to repair these with new rods and also install additional rods to reduce the strain on all the rods. 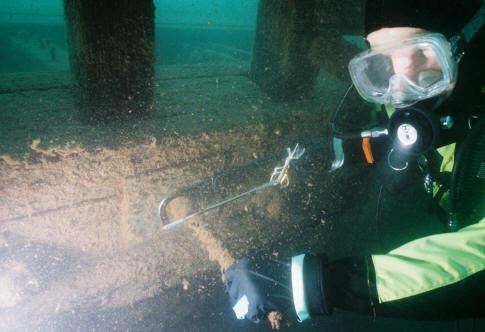 This action was imperative to stabilize the hull and to help prevent further deterioration of the shipwreck. GLSPS members came to the rescue again this summer. We had two very successful weekends: The first weekend, August 4th, we surveyed the Ely to determine its preservation needs, finding only one rod broken and the rest in very good condition only needing tightening. The next 2 weeks we acquired the materials for installing 2 new rods and the tools and equipment needed. 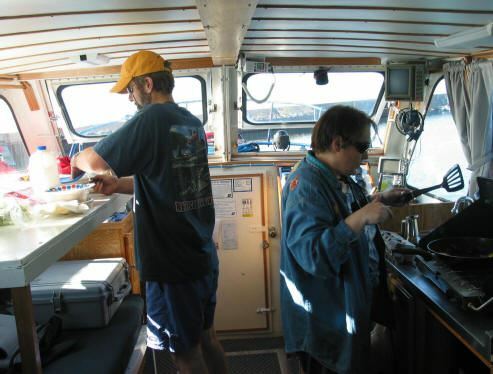 The following weekend we loaded all the materials, tools and equipment, and divers on our GLSPS project boat, the Preservation, and cruised from the Spirit Lake marina to Two Harbors. Mooring the Preservation over the Ely Saturday and Sunday we removed one broken rod and installed two new rods, then cut off the extending rod ends from both the new and old rods. 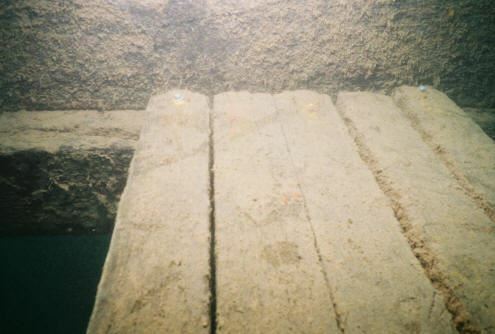 With our remaining time we re-secured many deck planks to their support beams. Much thanks to the excellent crew: Phil Kerber, Bob Nelson, Paul Imsland, Jeff Roberts, John Ortiz, Emma Wallace, and Bill Wallace who made the trips both successful and fun. Jay Cole also stopped by to help and had a front page article published in the Two Harbors newspaper about the project. 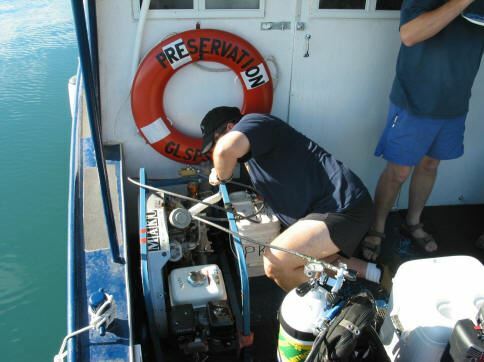 The Preservation proved to be a great dive boat and work platform. 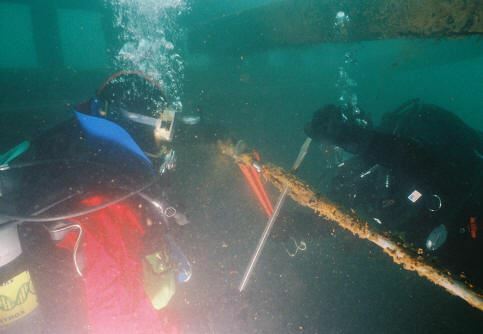 She carried 2 air compressors; one for SCUBA tanks and one for underwater air tools, gear for six divers, 70 feet of 1 inch steel rod, their connectors and plates, and 8 people. The Preservation performed flawlessly for the entire trip, handling 3 foot seas with ease with enough space for feeding and sleeping 6 people. The weather and crew were great both weekends. We completed every task that was needed for this project. Next year, we may be doing additional stabilization on the Ely and our goal is to have more GLSPS members involved with our projects. Hope you will all be able to join us on this or other GLSPS Projects in the future. Check our website at glsps.org for next summers’ projects you can help with. A broken end of the damaged rods that needed to be replaced. Bill Wallace & John Ortiz start by removing the old rods. The broken rods are replaced with new rods and turnbuckles. The new rods bending over the deck shelf. 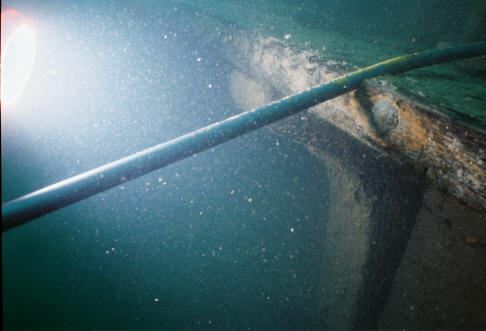 GLSPS is also securing deck planks to the deck beams. Paul Imsland cuts off ends of rods. The Preservation works well as a project boat. 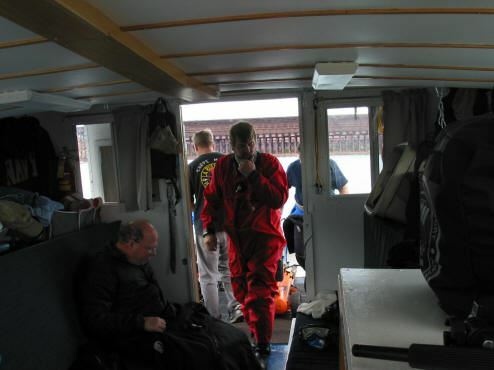 Divers suit up for a days work. 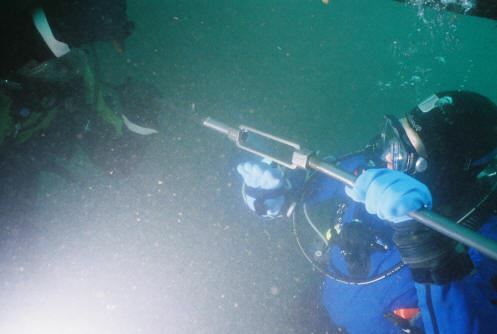 John Ortiz starts compressor to fill tanks between dives. Emma & Bill Wallace start the day with a hearty breakfast. 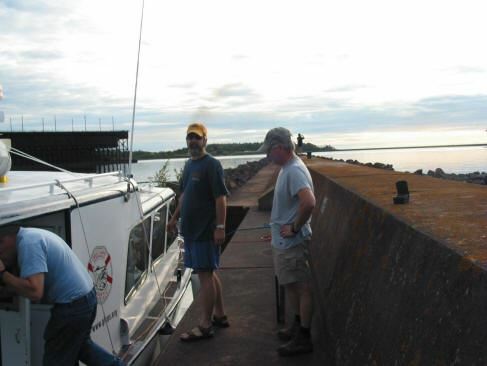 The Two Harbors breakwall allows divers a chance to get off the boat after a days work.